Do you want to learn how to play Texas hold’em? Then you’ve just found the perfect article to help you get started! Here you can learn the essential Texas hold’em rules, as well as some useful texas hold’em tips that will help you achieve good results fast. Playing online poker is really fun, and it can actually be a source of extra income if you know what you’re doing and play your cards right! Texas Hold’em Poker is by far the most popular style of online poker, so if you want to join the action and enjoy this game of chance and skill – just read through the following sections carefully and you’ll have the fundamental information to get started. 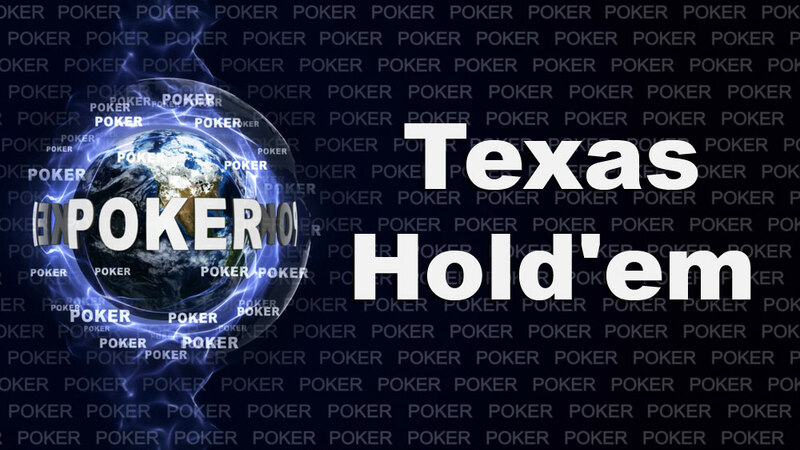 In case you’ve never really played texas hold’em before, let’s start with the basic rules. This game of poker is actually very simple to learn, although it can take a lifetime to master. The main goal is putting together the best five-card hand in the game; to do this, you have to combine the two cards you’re dealt in the beginning of the round (called “pocket cards” or “hole cards”) with three of the five so-called “community cards”, which are common to all players in the game. After each player is dealt two pocket cards, the action of the game takes place in four main stages, which are known as the “streets”: these include the preflop (the moment after the blinds are paid and before bets are placed, when all five community cards are placed face down on the table), the flop (when the first three out of five community cards are reveled at once), the turn (when the fourth community card is revealed) and the river (when the fifth and last community card is revealed). In Texas hold’em poker, players will take turns acting as the card dealer – a role which is indicated by placing a token or “button” in front of the designated player for the current round. Once the cards are dealt, the flow of the game progresses in a clockwise fashion around the table; the first player to make a move is the one sitting to the left of the dealer – this role is known as the “small blind”, and the next player has the role of “big blind”. Simply put, these players have to pay a pre-determined amount to actually see the flop; the remaining players may choose to skip the present round without spending any money or seeing any of the community cards, in case they’re not happy with their pocket cards. At the time of the flop, the betting stage begins with the amount paid in the big blind being used as the baseline for betting. Subsequent players can either pay this amount to stay in the game (thus making “call”), they can “raise” the bet which forces the next players to do the same, or they can cut losses by “folding” out of the current round. All the money paid by players to stay in the game enters the “pot”, whose contents will ultimately be earned by the player holding the best hand by the end of the round (or split between the players holding the best ranked poker hands, in case there is a tie). When you’re clear on the rules of the game and familiar with the poker hand rankings, you can start enjoying texas hold’em poker. In order to become a skilled player, you first have to be able to read the board at a glance, which is only possible through practice and repetition. Doing so involves knowing all poker hand rankings by heart, and being able to roughly estimate your odds of getting the winning hand. With enough practice, you will be able to do this instantly just by looking at your “pocket cards” and whatever community cards have been revealed, as well as making educated guesses on the cards other players might be holding by being attentive to their reactions at each moment in the game. If you want to become good at texas hold’em poker, the single most important quality you have to develop is patience. To consistently win at poker, you have to be able to adopt a contemplative attitude and watch the game without feeling tempted to rush in and place a bet. In short, you have to fold more often than not and only place bets when you’re very confident in your odds of getting a winning hand.